INTERSTATE Hotels & Resorts has taken over the management of one of Newcastle’s most renowned hotels. 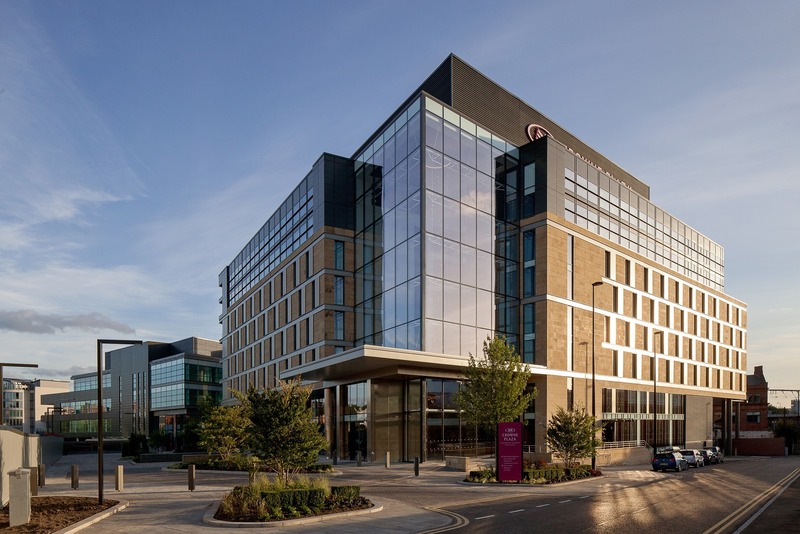 The third-party hotel management company has been named as the new operator of the Clouston Group owned Crowne Plaza Newcastle Stephenson Quarter, which opened to the public in 2015. The move marks Interstate’s seventh new contract signing since the start of the year, following its recent acquisition of two new properties set to open at Manchester Airport in 2021 – a 280 guest room Holiday Inn and a 262 guest room ibis Budget. Nicholas Northam, Executive Vice President – International for the UK at Interstate Hotels & Resorts, said: “The Crowne Plaza Newcastle Stephenson Quarter is a welcome addition to our UK portfolio, which has seen rapid growth this year with seven new management contracts agreed in the first quarter alone. The 251-guest room property, located on Forth Street in the city centre, also houses a Gin Bar, a restaurant – Hawthorns Brassiere – and an indoor pool and leisure club. In 2018, Interstate opened five new hotels across the UK, including two Hotel Indigo® properties in Manchester Victoria and Durham, the AC Hotel Belfast – with a 112-seater Jean-Christophe Novelli restaurant, and the Hampton by Hilton Blackpool. Additionally, the company signed operational agreements for a number of high-profile properties including Bodmin Jail, the Hampton by Hilton Hamilton Racecourse and a new 135 guest room golf resort and spa at Portstewart, Northern Ireland.